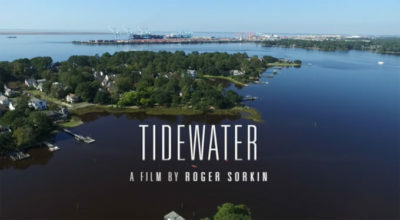 In Hampton Roads, a moniker for both a massive natural harbor in southeast Virginia and a metropolitan region comprising 17 small cities and municipalities, tidal flooding is as common as Chesapeake Bay blue crabs. Oh yes. Lest one forget, Hampton Roads is also home to the world’s largest Naval base. Low-lying roads flood so often that drivers use depth markers positioned on highway shoulders to gauge whether they’ll be able to pass through. Why is this happening? Sea level rise. And why are the seas rising? Well, let’s not talk about that. Shortsighted!, you might say. Or worse. 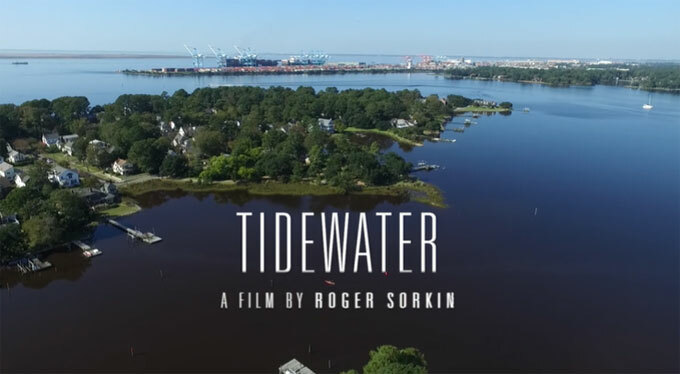 But to film director Roger Sorkin, talking about sea-level rise – and more importantly, how to adapt to it and build more resilient, forward-thinking communities – without talking about climate change is a well-considered strategy. ← Guardian: Will clothes companies do the right thing to reduce microfiber pollution?